It’s kind of cool when you give a gift that then the person has gifts to hand out to others. Kind of a pay it forward thing. That is just what was sent in by Angie. 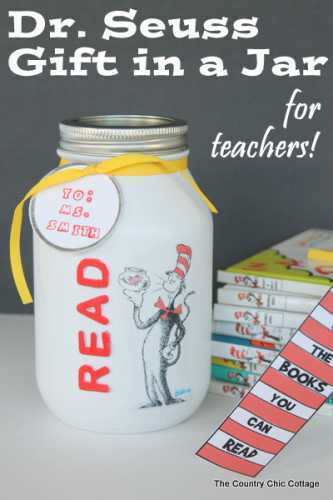 Pop on over to the blog The Country Chic Cottage to see the easy tutorial on how to make a gift jar and the free download for the Dr. Seuss bookmarks.